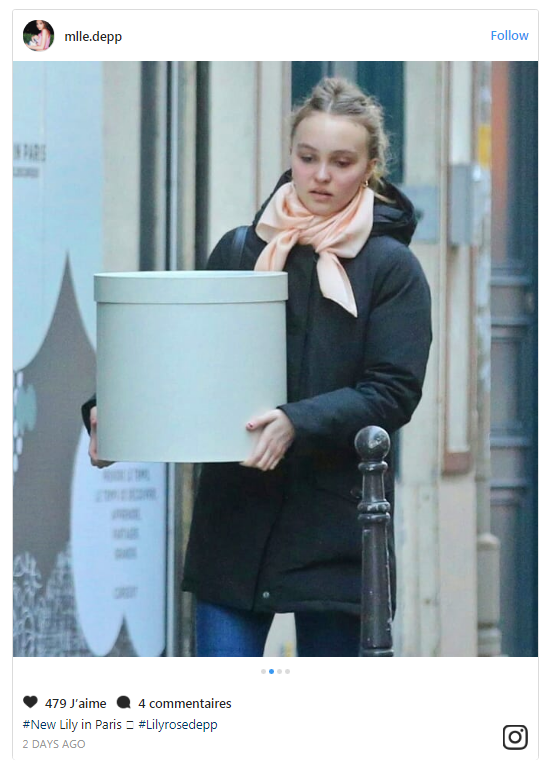 Although the 18-year-old Lily-Rose Depp most of the year living in Los Angeles, in the US, she decided to spend Christmas holidays with her brother and her mother in Paris. Lily-Rose did not share photos of the main family holiday, but the paparazzi managed to catch a family while shopping in the French capital. For shopping mother and daughter chose the plain dresses in dark colors: Vanessa opted for a black park, trousers and boots, and her daughter has complimented her look with a black down jacket, classic blue jeans, sneakers and peach cravat. Mother and daughter were joined by the 15-year-old son of Vanessa and Johnny Depp - Jack. Fans pointed out that the boy is very similar to his stellar father. Vanessa was accmpanied by her new boyfriend - director Samuel Benchetrit.